And Now! 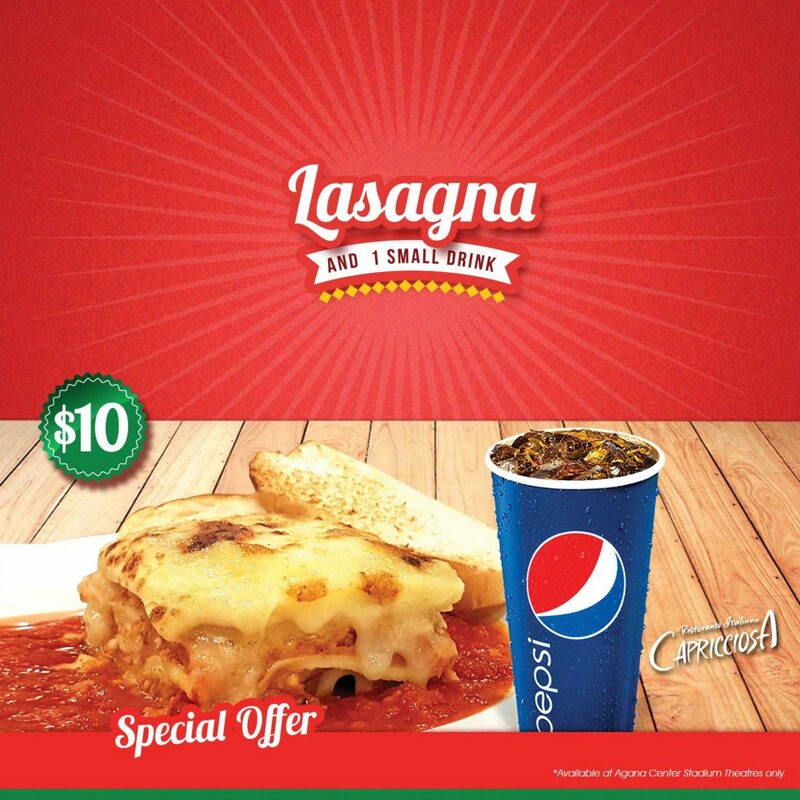 You can also have Capricciosa’s Lasagna and a small-size Pepsi drink for $10. Available for a limited time only at Agana Center Stadium Theatres. Have your pizza movie treat NOW!